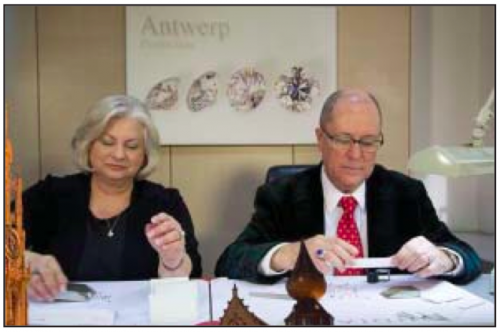 Jim Mills and his wife Linda select diamonds at Antwerp, Belgium before bringing them to Pineforest Jewelry. 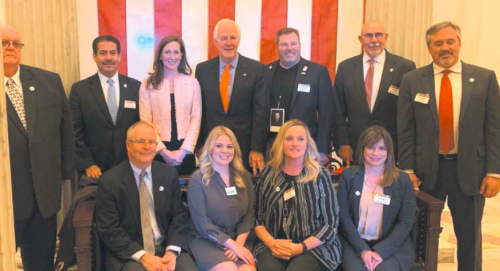 Diamond Jim & Linda Mills of Pineforest Jewelry in Houston recently returned from a buying trip to the Diamond Capital of the World — Antwerp, Belgium — where two-thirds of the world’s diamonds are traded. While there, Diamond Jim & Linda had the unique opportunity to buy direct from the major Antwerp cutters and pass significant savings on to customers in the Houston area. Diamond Jim & Linda louped and handpicked all the diamonds purchased in Antwerp, Belgium. Pineforest Jewelry has direct access to the Antwerp diamond trade as the area’s exclusive Master IJO Jeweler member of the Independent Jewelers Organization (IJO), an international Buying Group and Educational Organization for retail jewelers. IJO has almost 900 members in the U.S., Canada, Great Britain, Australia & the U.S. Virgin Islands, and maintains buying offices in Antwerp for the use of its members. “We are excited about opening a window on the international diamond world and look forward to making some diamond dreams come true for our customers!” Linda Mills added. Stop by Pineforest Jewelry to take a look at the most beautiful diamonds in the world at exceptional values.